Posted on 22 October 2011. A lot of websites for small and medium sized businesses and organizations waste more money on their website money than their website generate. This is because most of the websites are thought to be nothing more than a stagnant electronic brochure collecting dust in cyberspace according to the National Federation of Independent Business (NFIB) and experienced webmasters. This fantastic notion of a problem has strong roots in the phases prior to launching or re-designing a website. It all starts with the 5 most common misconceptions small and medium sized business owners should avoid when launching their website. 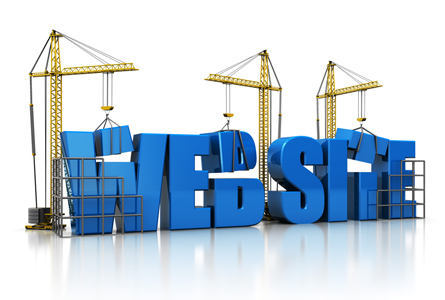 Mistake #1: A website made by an amateur web designer will yield professional results. Your business or organization website is not the place to publish an amateur representation of your company, organization or services. You are not just presenting your business image to your local community and surrounding areas, but to the entire world. Obtaining the professional services of an experienced and knowledgeable webmaster will save you thousands of dollars in the design and development of your website and business growth goals utilizing the World Wide Web. Mistake #2: Developing a low ball “Bargain Basement” website will make your phone ring. Ask any real business owner who has ever purchased a budget website from somebody on Craigslist or elsewhere if they are completely happy with their results. Focus on finding professional and quality web services at fair prices rather than the lowest price. No college educated professional is going to use his or her experience and knowledge to make you a professional website for a few hundred bucks. This goes back to the old saying “You get what you pay for”. Mistake #3: You’re going to be #1 on Google and you are going to get rich! Steer clear of anybody that proposes such a false statement. The truth is, once your website goes online, a high quality website marketing strategy using Organic Search Engine Optimization must be used in order to generate any real and relevant website traffic to your website and this is not a task but rather an ongoing process that only an experienced SEO consultant can deliver. There is a lot involved with professional SEO and the truth is amateurs or hobbyists – many which can be found advertising super low rock bottom prices that seem almost free can be found on places like Craigs List and are desperate to take your money. A good SEO professional will not beg for work because they will be too busy optimizing their own websites or the websites of their paying clients. One of the biggest mistakes today is business owners fail to recognize the high importance of Internet Marketing programs such as an ongoing Search Engine Optimization (SEO) website marketing campaign. Obtaining a high volume of website visitors to your website is a must for real success. There is absolutely no website that just generates business for you without being properly optimized and operated by an experienced SEO consultant. There is no “luck” involved in the SEO / Internet Marketing Process. Your website needs to be designed and developed by a professional webmaster and needs to include a real internet marketing plan in mind from the get go. Anything less is a formula for guaranteed failure and disappointment. You know what we are talking about, those wannabe web geeks that practically beg for work and offer to make you website for a few hundred bucks. Do not be satisfied with a service that only hopes for the best. A professional and successful website is the result of an experienced webmaster that knows web design – development and (SEO) inside and out. The truth is most web designers do not give much if any thought to your success once they have built your website and have been paid. This is exactly why you should not hire an amateur to make your website. A real webmaster / SEO consultant will monitor your website traffic daily, weekly and monthly to see who is visiting your website and will make adjustments to your website on a monthly basis. High quality websites do not sit in cyberspace and collect dust but are updated on a regular basis and are built and optimized following Googles strict webmaster guidelines and this is what will make you money. Guests that stay at select Walt Disney World Resort hotels in Lake Buena Vista Florida get FREE WiFi high speed internet access in their rooms. Not every Disney Resort offers FREE WiFi so it is important you call the resort you are interested in and ask if they are one of the Disney Resorts Orlando Florida offering free internet access in the rooms of their guests. 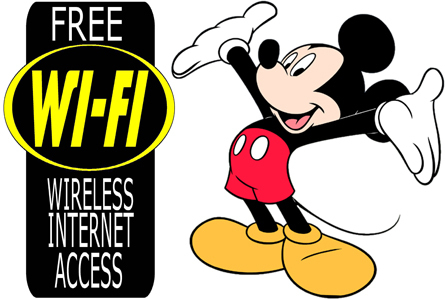 This new WiFi policy was announced on October 17 2011 and we were told if this freebee turns out to really put a smile on guests faces that other Disney Resorts in Florida may follow along by providing this free service to their guests. 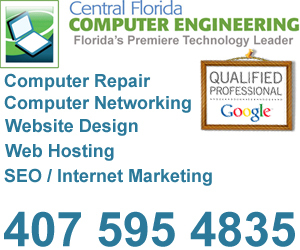 Central Florida Computer Engineering also provides premium emergency computer repair services to Disney Guests which is targeted towards families and traveling business professionals in the Orlando, Lake Buena Vista , Kissimmee and surrounding Central Florida areas. If you are on vacation in Central Florida and need fast on-site emergency computer help call Central Florida’s Premium Technology Service Provider for fast, professional and reliable computer support. Steve Jobs the Genius behind Apple died today on October 05 2011. Posted on 06 October 2011. Steve Jobs, the creative, innovative co-founder of Apple that transformed the use of technology in personal and entire industries with products such as the Macintosh computer system, iPod, iPad, iPhone, iTunes and the iTunes store passed away today. The Apple chairman was just 56 years old when he died. The American Icon Steve Jobs, whose impact on the world will never be forgotten. In August of 2011 Apples Steve Jobs stepped down from his position as the Apple CEO because of his personal health problem of suffering from pancreatic cancer although Apple did not give a specific reason for Job’s death. Today Apple lost a real genius and the world lost an amazing man. Steve Jobs was a dear friend to many and an inspiring and uplifting mentor to many others in and out of the technology world. In a short statement Apple stated they were saddened to announce that Steve Jobs passed away today. 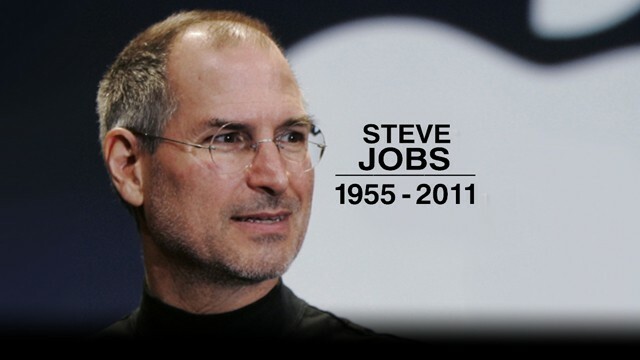 Steve’s brilliant mind and passion were the source of many innovations that changed the world. Steve Jobs battled cancer in 2004 and had a liver transplant in 2009. Ultimately after several leave of absences In 2009 Steve stepped down as CEO of Apple and became chairman. Apple / Macintosh was co-founded by Steve Jobs and Steve Wozniak. The first computers were built and assembled in a garage. The Macintosh computer makes its debut. The iMac is introduced to the general public and becomes the fastest selling computer in Apples history. The iPod revolutionizes the portable music player. With the iPod Nano, the iPod shrinks as it evolves. Apple drops the name “computer” from its name and expands its reach with the iPhone. Apple fills a gap consumers didn’t know existed with the iPad tablet. After it was leaked by a technology blog, the iPhone 4 is officially unveiled to the general public. October 5, 2011 Apple’s Steve Jobs passes away. All of us at Central Florida Computer Engineering will forever miss you Steve and we can’t thank you enough for all you have given the world. We know you are in a better place and know you are in heaven watching all of us. Today Apple fans were quite disappointed when they expected Apple to publicly announce the new Iphone 5. Instead Apple announced the Iphone 4S which is basically the same thing as the Iphone 4 we all love with the addition of new internal hardware that performs better then the stock Iphone 4. The Apple Iphone 4S looks just like the Iphone 4 on the outside, but on the inside it received an internal overhaul that makes it faster and now smarter than the Iphone 4. Apple added some nifty new games and apps, and priced the Iphone 4S at three different prices depending on how much storage capacity you want. Those prices are $199, $299 and $399. 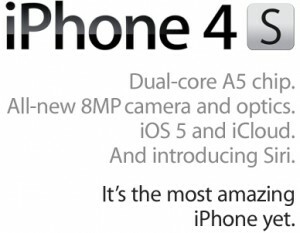 Here is a brief description of what is new with the Iphone 4S. The Apple Iphone 4S records video in 1080 High Definition Resolution. The Apple Iphone 4S “offers” an assistant called SIRI that can answer questions you ask it via voice. For example you can ask it “what is the weather today” and it it will tell you. OR You can say “Wake me up at 7am and it will set your Iphones alarm clock….this is pretty cool without a doubt. It come with a built in dual mode “GSM and CDMA radio so you can listen to the radio should you travel outside of the United States. The Apple Iphone 4S’s batter life holds a longer charge to power your phone up to 8 hours of talk time or 6 hours of 3G web browsing. (NOTICE) we mentioned nothing about 4 G Networks. That’s really it for the Iphone 4S. When will the Iphone 5 really be released? that’s a very good question? I did visit my local Apple Store located in Altamonte Springs Florida and talked to a few of the Apple associates who were pretty disappointed the Iphone 5 isn’t coming so fast after all. Needless to say this group of young men and women are very friendly and helpful which really is an understatement.